Jane Glennon (Woodland Cree), B.A., B.S.W., M.S.W., is a retired social worker, counsellor and teacher who currently lives in Prince Albert, SK. This is the second in her series of writings for MI about her time at residential school and beyond. In September 1951, on a nice, cool fall day, my sister and I walked through the doors of a residential school for the first time in our lives. Located in the midst of a small Saskatchewan settlement known as Sturgeon Landing (roughly 9 hours’ drive northeast of present-day Saskatoon), the school was built in the vicinity of Sturgeon Lake. The school was operated by an Oblate Missionary, with nuns of the St. Joseph order teaching and supervising about 200 girls and boys. Most of the students were Woodland Cree from the surrounding area. Meantime, the few native families who actually lived in the settlement had their children enrolled in a day school located on the other side of the lake. Immediately upon their arrival at Sturgeon Landing IRS, the children were told by the nuns to throw away the clothes they had been wearing and to put on a kind of dark uniform instead. 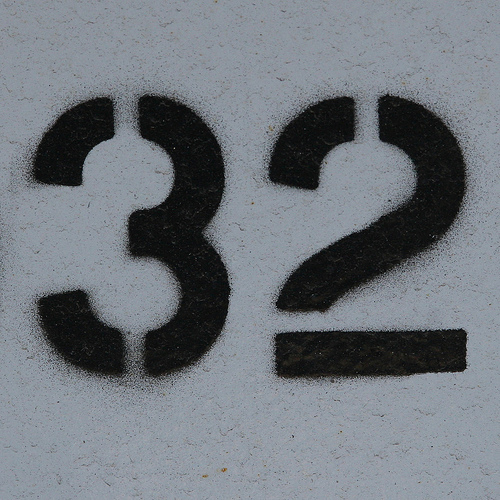 We were also assigned a number at that time: mine was ‘32.’ This would serve as your “ID” throughout the year. When your number was called, it was usually for ‘misbehaviour’ (in their eyes, anyway); otherwise, it was for routine situations like being called to do chores, or seeing the doctor for your annual check-up. It would only occur to me later on that this sort of treatment — where you’re only known by your number — was not much different than what would happen in jail or in the army. We were like robots then: always told what to do, feel, and say. Our behaviour was always monitored. Everything had to be done in unison with the other girls. Individuality was non-existent in every aspect of our lives. But the de-lousing was not done: there was still the DDT. Once the nuns applied the white, pungent powder, they covered our now chemical-laden heads with towels. We were then sent to bed, made to wear this DDT-towel combination overnight. If anyone knew at the time that DDT could be extremely dangerous to human health, they sure didn’t tell us children. The 200 children at the school that year were evenly divided between 100 girls and just as many boys. They ranged in age from six to 18 years. Children were strictly segregated by gender almost the entire time; the only exceptions were at mealtime or Sunday services. Even then, girls would be placed on one side of the dining room or chapel, boys the other. Neither side was allowed to speak to the other, though I do remember some of us would sneak in a smile and wave across the gap at mealtimes now and then. Not surprisingly, religion was a part of daily life for the students. The chapel was actually located within the school itself. Other than Sunday, boys and girls would attend mass separately, and on alternate days. Prayers were recited at every meal. Every week saw us stuck in confession, whether we had something to confess about or not. Just to have something to say, I remember once telling the priest that I had sworn at another kid under my breath, even though I hadn’t. In fact, we all went to church so often that I remember sleepwalking down two flights of stairs towards the chapel. Only good luck prevented me from falling down and hurting myself. As for the food we had to eat, it was usually rationed (i.e., single servings, small portions) and all too often rotten. Our diet consisted mostly of fish, typically whitefish. Even though it came from nearby Sturgeon Lake, the fish was not always very fresh. I recall one time when I had to keep washing down my dinner with tea and water because of how spoiled it smelled. Breakfast typically meant porridge, and almost every time it came with the privilege of having it sprinkled with mouse droppings. Eggs, meanwhile, were a rarity despite the fact there was a farm with chickens right behind the school. Looking back on those ten months at Sturgeon Landing Residential School, I recall feeling deprived in almost every way: emotionally, mentally, physically, spiritually. Affection between students such as touching or holding was strictly discouraged and regarded as sinful, even among siblings. As I wrote in my first installment, I was inconsolable that first night at the school, despite my sister’s best efforts to comfort me. But the tears kept coming, night after night. I was an introvert and internalized my pain at being separated from most of my family. But somehow I made it through to June, when I would once again rejoin my family in Southend for the summer. I tried to make the most of it. Every time I thought about returning to Sturgeon Landing, I vowed that I would find a way to not make it happen, which eventually became a plan to run away into the bush when the time came for the plane to take us back. Then came one blissful day in late August 1952, when the local priest informed all the parents in Southend that the school at Sturgeon Landing had burned down. That was one of the happiest days of my life. It renewed my hope that I could now stay with my family and rebuild what was there before between us. I had yet to experience the disappointing news that another residential school would become available and all too soon take over my life again. The Native Indian People of America have endured unimaginable Horror for over 200yrs & subtle hatred continues Today by RW Fascist Gov Institutions.Auschwitz has been etched into psyche of mankind But FN who have suffered More horror& have been systematically denied Humanity.Now its time to Seek Justice,Equality & humanity for the Holocaust perpetuated on the Entire Indigenous Races of Americas.The leadership has to (Like Auschwitz) Internationalize these Crimes and free Native People from Psychological Destruction visited on them by Insane RW Colonizers.So future Generations of FN ppl can reclaim Past Glories / Heritage & take Steps to be masters of their own Destiny like the rest of The World Community.Coz Now, Today Spies & their Gov restrain & Control Progress of FN .